A promotion within Airbus SE will bring Grazia Vittadini, 48, currently Executive Vice President of Engineering of Airbus Defence and Space, up to Chief Technology Officer (CTO). With Airbus SE's [stock exchange symbol: AIR] appointment of Grazia Vittadini to Chief Technology Officer (CTO) she will report to Airbus Chief Executive Officer (CEO) Tom Enders and join the company’s Executive Committee as of May 1, 2018. Currently, Grazia Vittadini is serving as Executive Vice President of Engineering within Airbus Defence and Space. She succeeds Paul Eremenko, who left the company at the end of last year. Since Paul Eremenko’s departure, Marc Fontaine, Airbus’ Digital Transformation Officer, served also as acting CTO. Tom Enders, CEO of Airbus stated that Grazia comes with deep engineering and industrial expertise. She’s a great team worker and a very inspiring leader. And she is one of the most international top managers in Airbus. He is convinced Grazia will do a great job supporting their business divisions and in preparing the technologies they need for their future success. 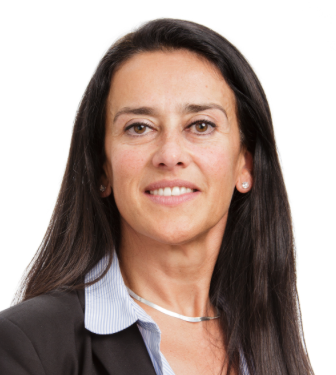 Italian-born Grazia Vittadini was appointed to her current position at Airbus Defence and Space in January 2017, where she also has been serving as a Member of the divisional Executive Committee. Prior to assuming this role, she was Head of Corporate Audit & Forensics, responsible for all company-wide audit activities worldwide. An engineer by education, with a Master’s degree in Aeronautical Engineering from the University Politecnico di Milano, Grazia Vittadini joined Airbus in 2002 and quickly climbed the management ranks. Among others, she served as Chief Engineer on the Wing High Lift Devices for the A380 in Bremen as well as Head of Airframe Design and Technical Authority for all Airbus aircraft, based out of Hamburg.